In pursuit of high transmission capacity, people have been tried many ways. For example, they pave more cables or use the TDM (time domain multiplexer) to improve the transmission capacity. But in these traditional ways, signals could become weaker in power through the fiber link. And the further they are transmitted, the weaker the signals will be until they can not be detected. With the advanced of technology, optical amplifier which is a better solution to improve the transmission capacity came around. It can strengthen the attenuated signals and even can bring them back to the original level. 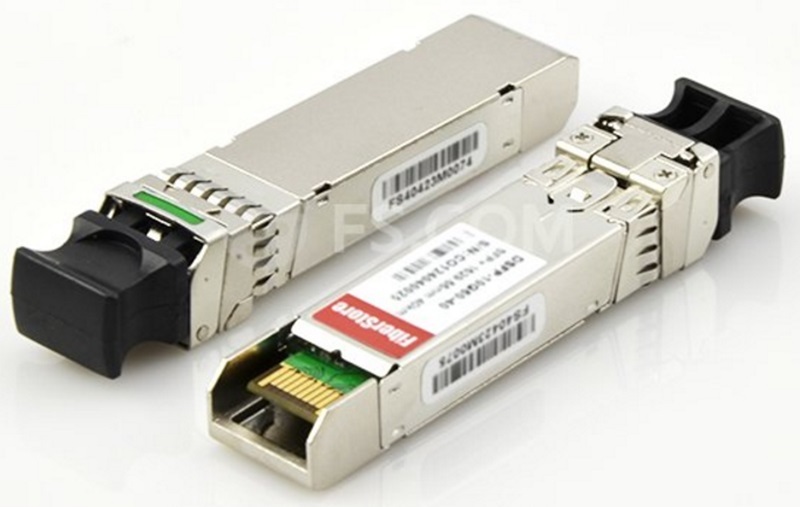 And now it is mainly applied in DWDM technology so that DWDM technology can support long-haul transmission. Optical amplifier is a device that can amplifier optical signals directly, which does not need to convert optical signals to electric signals first. And we will take the common kind for example to explain its working principles, namely, EDFA (erbium doped fiber amplifier). Optical fiber is often doped with rare-earth elements, such as erbium or praseodymium which can be pumped into a excited state by pump laser. When input signals pass by the fiber, they will stimulate the excited atoms of erbium so that the atoms of erbium can release their energy in the form of emitted light photons. It is the emitted light photons who has the same phase and wavelength with input signals that amplify the optical signals. Optical amplifier can be divided into three types now. They are the doped fiber amplifier, the semiconductor optical amplifier and the Raman amplifier. Next we will introduce each of amplifiers. 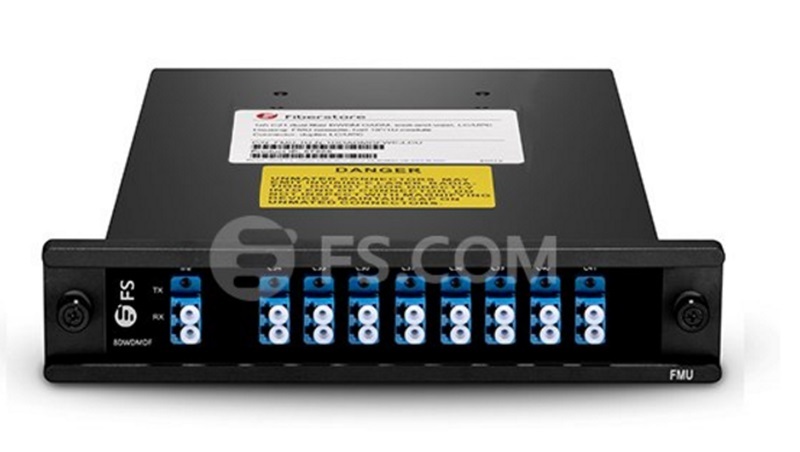 Doped fiber amplifier has several types according to the kinds of rare earth elements. Erbium-doped fiber amplifier is the most common one. Just like we said before, its amplifying medium is the fiber doped with erbium elements. The amplified light’s wavelength is around 1550 nm, which suffers minimum attenuation. 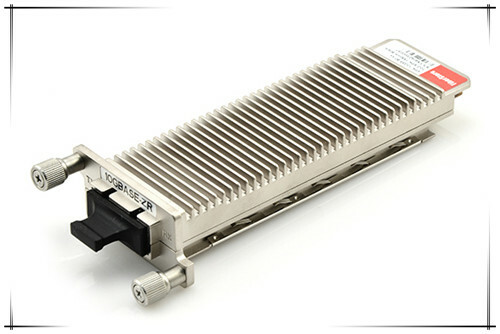 And this amplifier has low noise and is applied in the long-haul telecommunication networks. The second is semiconductor optical amplifier whose gain medium is undoped InGaAsP. Compared with EDFA, it is less expensive and more suitable for local networks. Raman amplifier’s gain medium is undoped optical fiber. It is made with Raman scattering effect which is an important non-linear effect. By the early part of 2000s, it is used for long-haul (typically between 300 and 800 km) or ultra-long-haul (typically longer than 800 km) fiber-optics transmission system. And this amplifier has been commercialized these days, with sold at a high price. 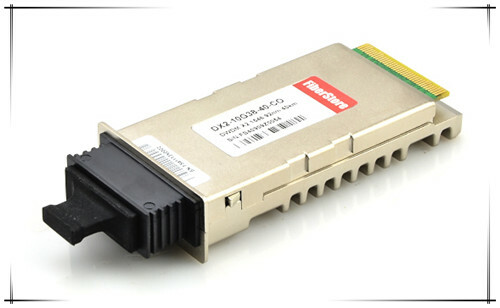 The advent of optical amplifier is a great success in optical fiber communication technology. At present, it has been become a basic device in modern telecommunication networks and brings much effectiveness to economy and society, which presents a good trend for the market prospect. This entry was posted in DWDM system and tagged DWDM, optical amplifier on August 13, 2015 by Admin. Inter-Switch Link (ISL) protocol, is a cisco proprietary protocol, Can only be used for interconnection between Cisco network equipment, it is mainly used for maintenance the VLAN information such as the traffic between the switches and routers. VLAN is a kind of agreement for solving the problem of Ethernet radio and safety. After the introduction of VLAN, the host to communicate across the switches in the VLAN. We all know that cascaded FCP/FICON directors use ISLs to connect the directors. In certain configurations, ISLs can be grouped or aggregated, typically for performance and reliability. Brocade calls this an ISL trunk (frame-based trunking), and Cisco calls this a Port Channel just as CWDM chassis. We will generically call this feature ISL trunking or just a trunk. Each vendor might implement these trunks in a unique way to provide proprietary features. The vendors’ trunks ISLs might contain proprietary frames, proprietary frame formats, or special characters or sequences of characters in the inter-frame gaps. 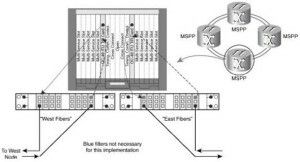 Often, the difference between a cascaded environment contained in a signal data center or campus environment, and one in a metro environment, is the use of a DWDM Optical Amplifiers to carry the ISLs over the extended distance. The primary concern when attempting to use trunked ISLs with a DWDM is that the ISL data streams must be unaltered by the DWDM for the proprietary functions to work correctly. This os sometimes called bits in, bits out, to indicate that there is no change to the signals, especially between the cascaded directors. The challenge with non-symmetric transit times for the ISLs in a trunk is illustrated in following picture. The scale is time to arrive and not distance traversed per time unit (which would produce a great roughly the opposite of this). 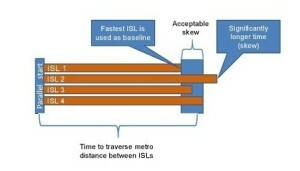 This diagram shows how the signals, sent at the same time on parallel ISLs, could arrive at the endpoint at different times. The director measure this difference at the time that the trunk is created. The difference is called skew. The director can accommodate a small skew, but an ISL with skew that is too large might be removes from the trunk by the director. An ISL that is carried on circuitry that introduces variable skew will not be detected, because the director does not re-measure the skew. If the variance of the skew becomes too large, the traffic on the trunk could be the cause of interface control checks (IFCCs), or could experience out-of-order frames. It must be noted that the trunks between cascaded directors might appear to work without any issues during testing, because this is often performed with a relatively low I/O load. At that point, only oe or two ISLs in a trunk carry traffic with high I/O loads. 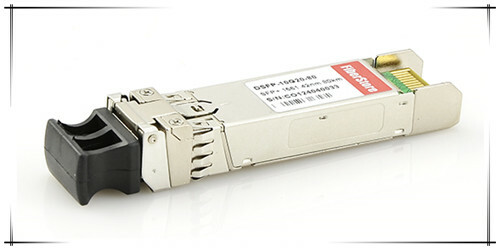 Some DWDM optical transport equipment features can cause the skew to vary (that is, not be consistent), which can cause out-of-order frames or other issues with the I/O traffic. Any alteration of the data stream introduced by circuitry or software in the DWDMs might affect the ISLs. The DWDM vendor might alter the data streams for different purposes. You should check with the DWDM and the FICON director vendors to determine basic ISL compatibility. Some of these features might be implemented in a way that alters the data stream that will not affect a single ISL, but would affect trunking. In general, these DWDM features should not be used on trunked ISLs. IBM has experience with DWDMs that could not be used for ISL trunks because of the issues noted, and some experience where DWDMs appeared to support ISL trunking. There are many features on each DWDM and on each FICON director, giving a large number of permutations that would be difficult to test. For a single example, and definitely not to provide an exhaustive test, Fiberstore tested a specific configuration with two Brocade FICON Directors whose trunked ISLs were carried on two ADVA FSP 3000s at a distance of 80 km. The test configuration, with significant and varying I/O load, did not find significant increases in IFCCs or out-of-order frames, and the skews between the ISLs in the trunk were within acceptable limits. 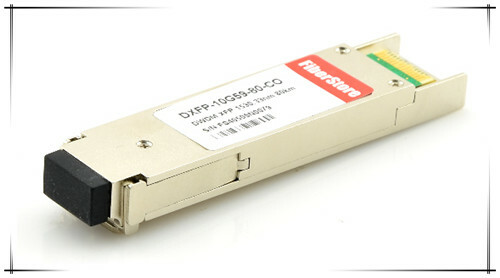 There are many DWDM vendors such as Fiberstore who has their own compatibility documents. Ask your DWDM vendors for this information if you are considering combining ISL trunking with a DWDM. 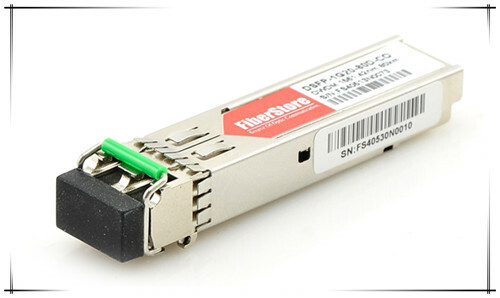 In addition, Fiberstore is doing with a discount of 30% to CWDM/DWDM related products, if you have some needs, welcome to our Fiberstore. This entry was posted in DWDM system and tagged CWDM chassis on March 17, 2015 by Admin.